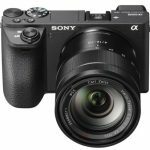 It has been only one year since Sony brought to the market the compact potent Sony RX100 II when they surprised the industry with a new Sony RX100 III. This is a novelty that brings the latest technology from the giant Japanese company and, on top it has an integrated and colorful electronic visor that is retractable. The design does not differ much from the previous version and the engineers have worked hard into maintaining the lines of these advanced cameras that offer so much and had so many good results, nevertheless, incorporating the previously mentioned visor, and also a collapsible screen that goes up to 180 degrees. 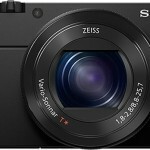 In the remaining details we found a sensor with a greater resolution the latest processor and a brighter zoom. This particular compact has a solid construction, as we already verified personally with the RX100 and RX100 II; even with a light aluminum body it remain light and possess a design simple and elegant at the same time. Despite of maintaining the almost equal interior design, we found a substantial change and, perhaps its most significant change, as it is the retractable visor (in spite of sacrificing the flash and the connection foot). This really was an ingenious option of including extra value to this small compact, without abandoning its size and portability. We found something similar with the collapsible screen, as its predecessor, but with more degrees and possibilities. 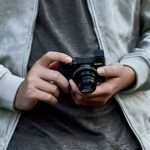 The sensor kept the same size and resolution, and now incorporates the last Sony Processor, the Bionz X, that has been present already in the latest models such as the A7 and/or the A6000. All these give the camera more speed and power and improve its already great noise control in the RX100 II. There is also the important improvement of the greater brightness of the already super quality Zeiss Zoom with the capability of a more distant focus. These gives more possibilities to the user when in conditions of not enough light, thanks to its maximum opening ( f/1, 8-2,8), and with the incorporation of a neutral density filter with three stages. 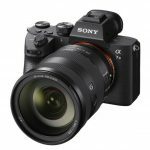 The video capacity also offers new changes, now with the support for the format XAVC S that is also benefitted by the improved stabilizer with 5 shafts of the RX100 III. Continuing with the line of improvements, it is the option of exiting for photos 4K that can be transferred to a 4K screen with a HDMI connection or with Wi-Fi connectivity (also includes NFC). As a last comment it is important to note that a new personalized button has been included, that is close to the control ring and the function button offering the possibility of adjusting manually the user preferences for a faster, easier and more effective utilization. We don’t know yet when it will arrive to the Spanish markets; as soon as we are informed we will take note and actualize this information. Intuitively we can assume that the price will be similar to the previous model, around 750 Euros, and it could be available by the beginning of the summer season.